A huge theme in the construction sector is and remains restructring. Year by year numberless households decide to make their home more energy efficient, family Loscha from Graschuh in west Styria too. 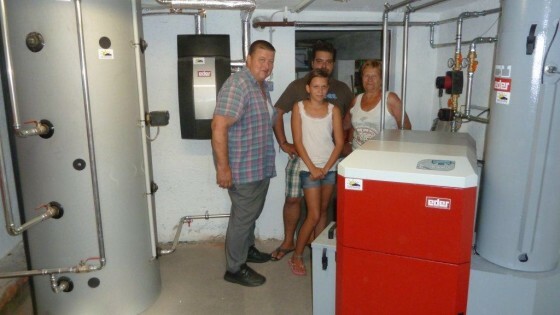 After careful consideration as well as comprehensive advice, which environmental friendly, economical and comfortable device shall replace our old central heating, a pellet boiler from the house of EDER, an Austrian familiy company, was chosen. „In the company EDER not only the product quality is fine, also the consultation and the provided service after purchase, these facts made the decision easy for us.“ The size and configuration of the unit were adapted to the requirements and wishes of the costumer by Mr. Mauko (Aquatherm) and Mr. Dragovits (EDER). The model Pellevent M Vacu with suction system, a buffer storage and a fresh water module care for an indoor climate to feel comfortable. „From consultation to start-up, everything from a single source, Austrian quality paired with experience for decades, as well as partnership with our local heating engineer have convinced“ said family Brecher about the desicion to install an EDER pellet heating. The central heating is combined with a multifunctional storage Biosolar, thereby hot water heating is secured around the year. „Shortly said, an economic top solution, which covers our ecological spirit optimally“ is agreed by family Brecher. 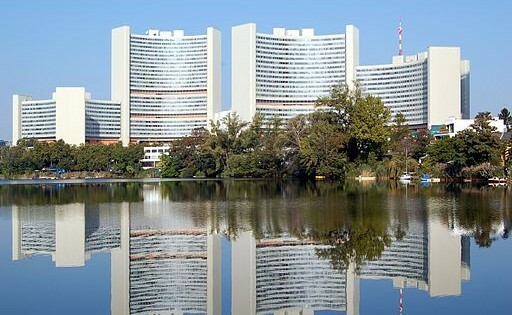 Our first great reference plant in the sector expansion technique was installed at the beginning of the Seventhies in the UNO City Vienna. This building is equipped with an Elko-mat EDER pressurisation maintenance system since around 40 years. 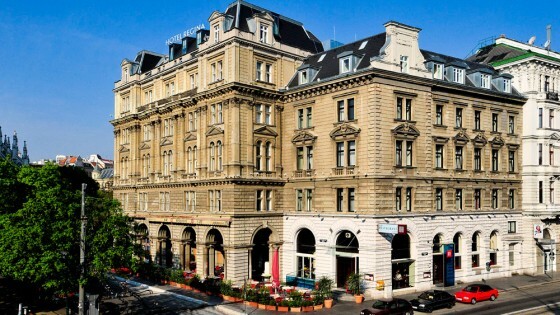 The renowned hotelier family Kremslehner from Vienna decided in a course of a quality campaign to complement the parent house of the group, the hotel Regina (Rooseveltplatz, 1090 Vienna) with an exclusive roof extension. In the course of these extensions family Kemslehner desided to adapt the house technique to the latest requirements. By a desire, saving the historical structure, this project was particularly demanding. Mr. Ing. Reithofer, manager of our longtime partner company Offner-Installations, has desided to convert the existing open system to a closed system. Due to the known plant data an Elko-mat EDER pressurisation unit of the series Systemwart (SW 1500), supplemented by a fresh water softening module MWE was implemented.